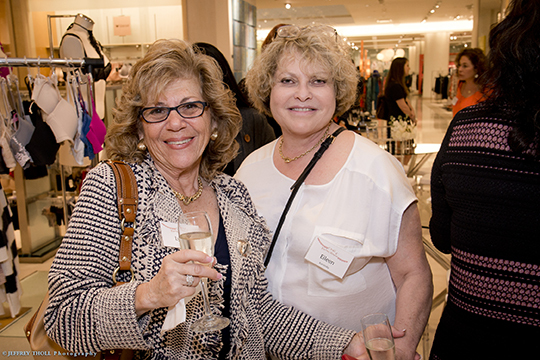 A group of women in Federation’s Pomegranate program enjoyed an elegant night out at Neiman Marcus for a successful second event of the season. Amid the food, wine and mingling, experts were on hand to share tips with guests on the best way to uplift their bodies and spirits, and treated them to mini makeovers. The Pomegranate program is chaired by Nancy Gefen and Joan Hauser. Joan spoke to the women about her career, leadership and philanthropy. Thank you to our event sponsors, Neiman Marcus, Brown’s Interior Design and Ivan & Co. Fine Jewelry.